Learn how to design and create your own mosaics using the direct and indirect methods. Select from a huge choice of materials and colours and be inspired by a large display of mosaics, books and resources. You don’t have to be able to draw to create mosaics! I provide many designs to choose from or you are very welcome to bring along your own design to fit a 22cm square base. Friendly, fun and informal. Saturday 10-pm Price £50 including all materials. Professional member of the British Association of Modern Mosaics with extensive experience of providing mosaic workshops with adults and children & public and private commissions. 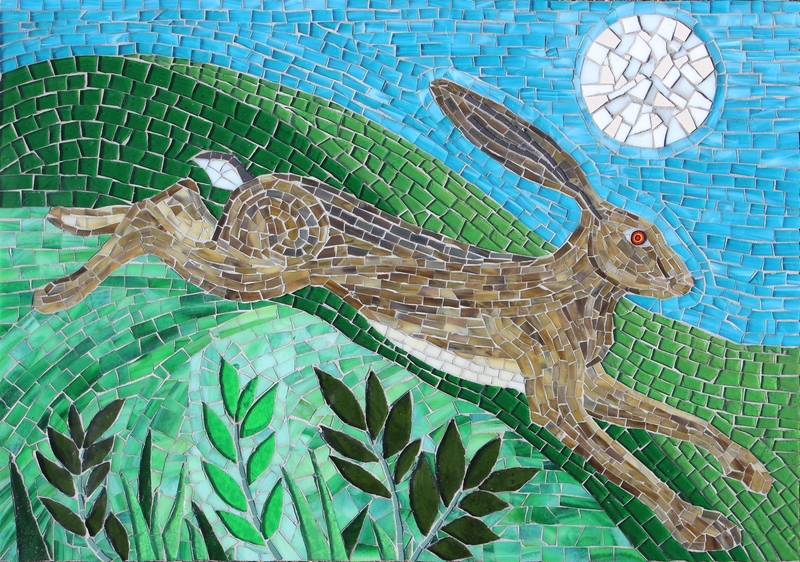 My one day introductory mosaic workshops take place at my home studio in Huttons Ambo, near York, North Yorkshire (set in the Howardian Hills, AONB – an Area of Outstanding Natural Beauty – and overlooking the stunning Yorkshire Wolds). I am located 15 miles from York, 4 miles from Castle Howard and 25 miles from the coast (Scarborough). Tips on suitable designs for mosaics and different mosaic styles will be discussed along with future possible projects. Books and resources, including websites, and sources of materials will be provided for reference.